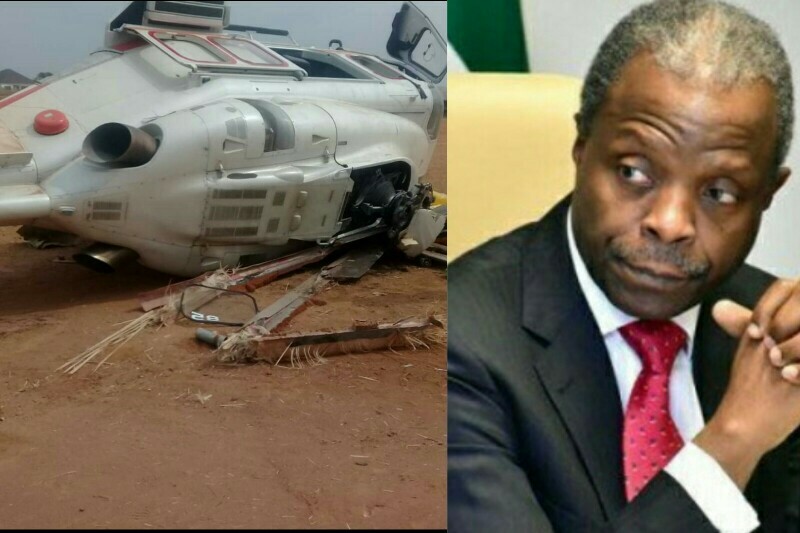 Sources within the Presidency has revealed why Vice President Yemi Osinbajo flew in a chartered Caverton helicopter that crash landed over the weekend. Inquiries by The Guardian confirmed that the presidential fleet had been depleted. Consequently, it could not cater for the daily itinerary of the president and his deputy, especially during this period of electioneering. Stakeholders though saw nothing wrong with the decision, they, however, queried due diligence, safety precautions and expertise of the crew. This comes as the management of the airline attributed the near-mishap to bad weather. A 15-seater Augusta AW139 medium-sized twin-engine facility was conveying the vice president and his team to Kabba, Kogi State when it crash-landed. While the aircraft was damaged, all occupants escaped unhurt. “The capacity has lately been reduced to about six, even some of these are not in use due to routine maintenance schedule. That may explain why the presidential fleet is borrowing aircraft,” a top official disclosed. The presidency, had in 2016, resorted to penny-pinching measures, putting up two of the 10 planes in its fleet for sale. The move, according to the Senior Special Assistant (Media and Publicity) to the President, Garba Shehu, was to check waste. The facilities were, as at 2014, costing the nation N1.52 billion to maintain and another N1billion for aviation fuel. The presidential fleet was then the second largest owned by any nationwide, coming closely behind Arik Air that had 23 aircraft.